Smart job seekers know the importance of preparing for job interviews. Doing your homework beforehand will help put you in a position to convince the hiring manager that you have the talent they need to fill the seat. This segment will cover the most general interview questions that hiring managers often use along with tips to assist you with coming up with great answers. If you are actively looking for employment, a good resource will be to go through each question and create a cheat sheet. 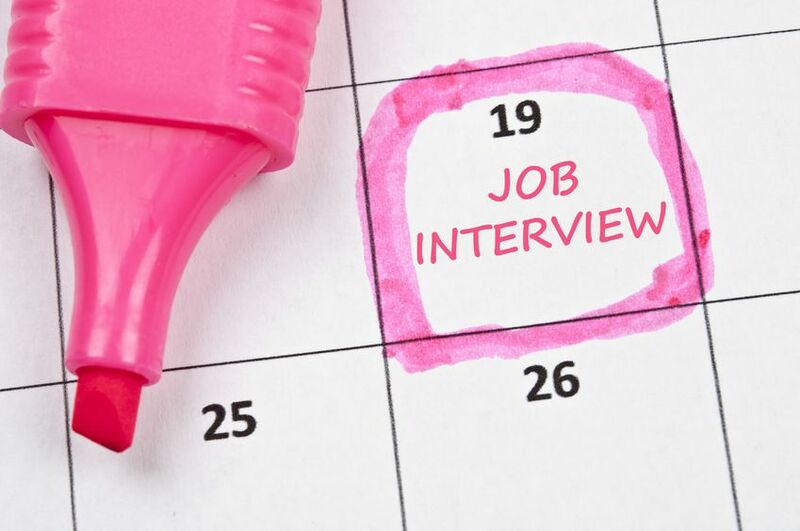 Come up with answers to each question and study the answers before every scheduled interview. Let’s get into the most common general interview questions and tips. 1) Can you tell me a little about yourself? I firmly believe this is the most dreaded interview question. This question, when asked, makes most interviewers cringe, their eyes cross and smoke come out of their ears. This is why it is imperative to prepare for interviews. When you are faced with this question, a great way to answer it is using your elevator pitch. What is an elevator pitch you ask? Now let’s say you don’t have an elevator pitch, start off with specific accomplishments or experiences that you want the interviewer to know about. Gear the answer to this question with the position you are interviewing for. You want to end this question with a pitch that is concise, compelling and one that shows why you are the right fit for the position you are interviewing for. 2) What do you know about the company? Take a moment before the interview to read through the organizations website. Mid-to-large sized organizations usually have their mission and vision statements in the “About Me” section of the website. Familiarize yourself with a couple of keywords and phrases from the website however make all your statements personal, show that you care about their mission. 3) How did you hear about the position? Simple question right? Straight to the point, no need to dress up? WRONG. This question gives you an opportunity to stand out and express your passion for and connection to the company. If you were referred to by a colleague or friend, share why you were so excited to have the opportunity to interview with their organization. 4) Why do you want this job? You want to have a great answer for this question. So, what makes a good answer? First, identify key factors that make the role a great fit for you, then share why you want to be a part of their organization. You can relate this to the industry or the type of services/products they represent. 5) What are you looking for in a new position? Put the Job Descriptions to use. If you found the position using a job search website or applying online from the organizations website, read through and familiarize yourself with the position description. Those are the items you want to mention, the same things that this position has to offer. Be sure to be specific. 6) What type of work environment do you prefer? Use the same tactic as you did for the “What are you looking for a new position?” question. Review the Job Description and say one that’s similar to the environment of the company you are applying to. 7) Why we should hire you? that you would be a better hire than any of the other candidates. 8) Why are you leaving your current job? I emphasize… KEEP THINGS POSITIVE. You have nothing to gain by bashing or being negative about past employers. Instead, focus the conversation in a way that indicates you are eager to take on a new role and new responsibilities. If you are interviewing in a different industry, you can say you are looking for an industry change, one that aligns you with your future career goals. If you were let go from your previous employer, keep it simple. Saying “Unfortunately, I was released,” is an acceptable answer. 9) What other companies are you interviewing with? This is a popular question with recruiters. I typically keep the answer to this question short and sweet. If you are actively looking, it’s okay to mention that you are exploring a number of other similar options within the company’s industry. Also a great angle is to state there is a common characteristic of all the jobs you are applying to such as abilities and skills you possess. 10) What are your salary requirements? Research… research… RESEARCH! Use sites like Payscale and Glassdoor to do research on the industry salary trends. This is a great source to help you come up with a range based on the industry, your experience, education and skills. You want to make sure the hiring manager knows that you are flexible. You want to communicate that you know your skills are valuable, you value your knowledge, skills and abilities BUT that you want the job and are more than willing to negotiate. 11) Do you have any questions for us? What do you want to know about the position that you haven’t already covered? How about the company, department, the team? This is your opportunity to catch up on anything that may have been missed throughout the interview. You can also ask questions that target the interviewer, the company’s benefit packages or the growth of the company. Be sure to take a moment and review tips on how best to prepare for an interview: You’ve got an interview… NOW WHAT? What would you say about yourself when all you have is 30 seconds? How many of you have heard of the 30 second “elevator speech” or “elevator pitch”? This is a clear, brief message (kinda commercial) about you. It’s purpose is to communicate (in a whole 30 seconds – about the length of an elevator ride) who you are, what you are looking for, and how you can benefit an organization. The idea behind this speech is that you are prepared to share this information with anyone, at anytime. It is important to have your speech memorized and practiced. Practice it out loud so you can perfect it. It should not sound rehearsed, rather, it should sound completely natural in conversation. or 8 – 10 sentences. Sounds like a pretty difficult task huh? 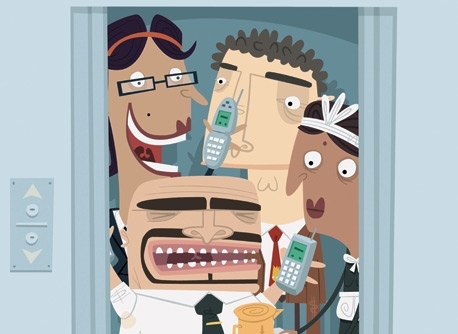 Well here are some tips to help you develop an awesome elevator pitch. Get to the point. You have limited time to get your message across. So keep your introduction short and get right to your message. Consider not only your body language but the body language of the person receiving your message. This is feedback that will allow you to get on track with your pitch. Also, ALWAYS maintain eye contact. This aspect is very important for effective communication. Start with a positive and confident introduction. This will set the tone of your message. Be specific. By the end of your pitch your audience should know who you are and what you are seeking. Practice your message! The message is the core of your pitch, the intro and closing could always be modified however your message is key. Make sure you know it and the message is delivered clearly. Keep the message concise. Stay on target with the key components of your message and stay away from those pesky message fillers. The “likes” and “uhms” and the “okay”. Thank your audience for listening. Close with your name. This will ensure your audience remembers you. Hello I am [insert name]. I’m currently in transition seeking a Regional HR Manager position in an organization in the retail industry. With my vast knowledge in HR, as well as my experience in retail, I would bring a great balance to your organization and it’s staff. I understand the pressure that retail places on it’s managers and I would be able to recognize and connect with the managers of your organization because of my prior retail experience. In my previous position, I decreased Management turnover by 60% because of my ability to connect. My name is [insert name] and I look forward to having an opportunity to further discuss my qualifications. It was a pleasure meeting you. This sample is to the point. It states who you are, what business you are in and that of which you are seeking. It states how you would benefit the employer and an example of how you have benefit an employer in that capacity. Finally the closing, using your name, and thanking the audience and ALL IN LESS THAN 30 SECONDS! The concept is the same even if you are not job hunting. Instead just state what you do for your organization, summarize your responsibilities and how you have benefit your current employer (accomplishments, accolades, etc.) This is a great tool for you especially when you are out networking and meeting new people in your industry. So get your pen and paper (or note app or computer) ready and start putting together your elevator pitch. It may land you your next job or just make networking less awkward and more of a breeze.